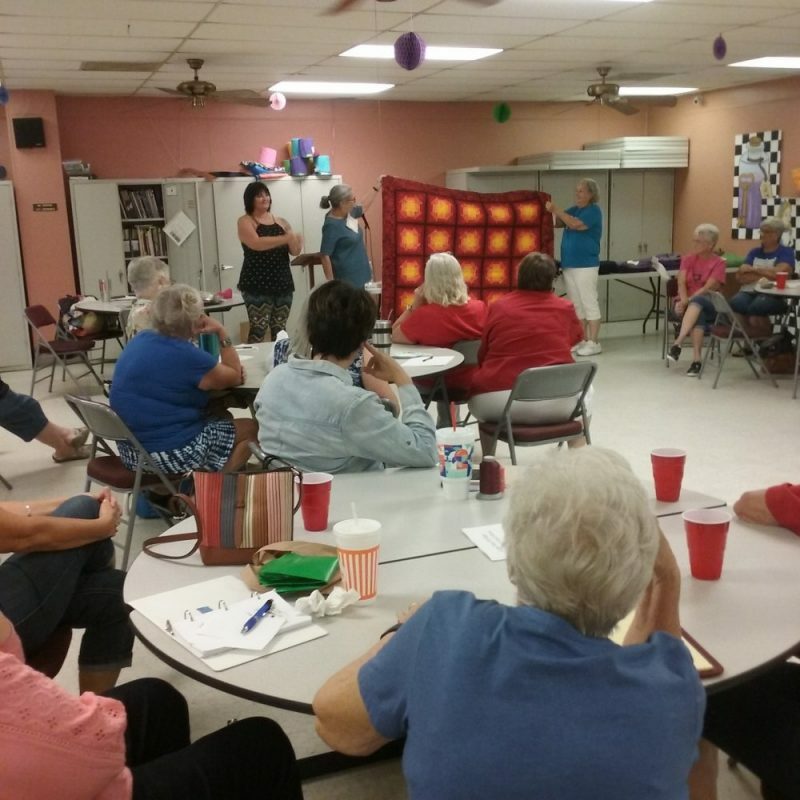 The Lone Star Heritage Quilt Guild is over 50 members strong. The guild meets monthly on the fourth Monday at the Sulphur Springs Senior Citizens Center for a light supper and social time, and business meeting and program. Anyone from beginners to persons currently working on a quilting project are welcome to attend meetings and become members. Annually, the Guild puts on a major quilt show in Sulphur Springs, bringing quilters and quilt lovers from all over NE Texas and beyond. The 2017 show, set for September 15 and 16, will be the Guild’s 18th annual showcase of handmade quilts…over 120 antique, heirloom and new creations. 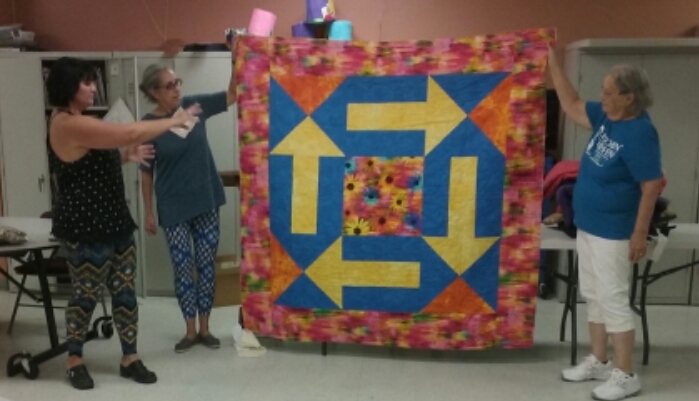 Some members will display lap quilts and quilted wall hangings and there will be a children’s section for quilted items created by youngsters. The Special Exhibit is themed “Birds of a Feather”. This year’s show will cater to the spectator with door prizes, fabric vendors, free demonstrations and a program by Linda Neal, award winning speaker. Admission is $5 per person, and children under 12 are admitted free. For the past four years, the show’s venue has been The Roc, conveniently located a block south of downtown. The First Baptist Church provides the spacious setting which presents an exceptional display to promote talented quilters from around the area. Hours for this year’s show are 9 am til 5 pm on Friday September 15 and from 9 am til 3 pm on Saturday September 16. 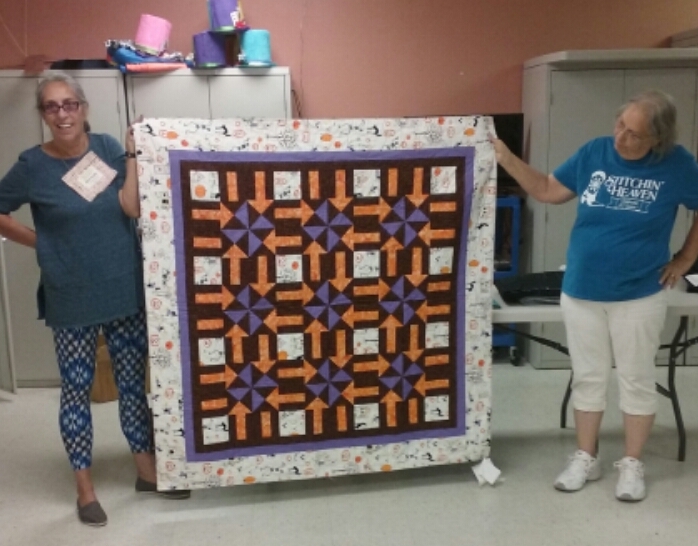 At the August meeting, Quilt Guild members were treated to a program and display by Maria Hall of “Charming Prince Quilting”. This prolific long-arm quilter brought examples of the “One Block, Twelve Quilts” project, an original pattern she offers on her blog, Maria The Quilter.